Under the regime of Pres. Rodrigo Duterte, the so-called drug war in the Philippines has exacted an enormous toll. 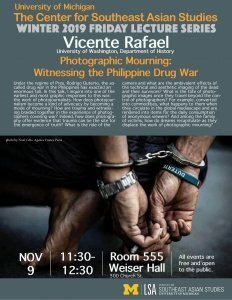 In this talk, I inquire into one of the earliest and most graphic responses to this war: the work of photojournalists. 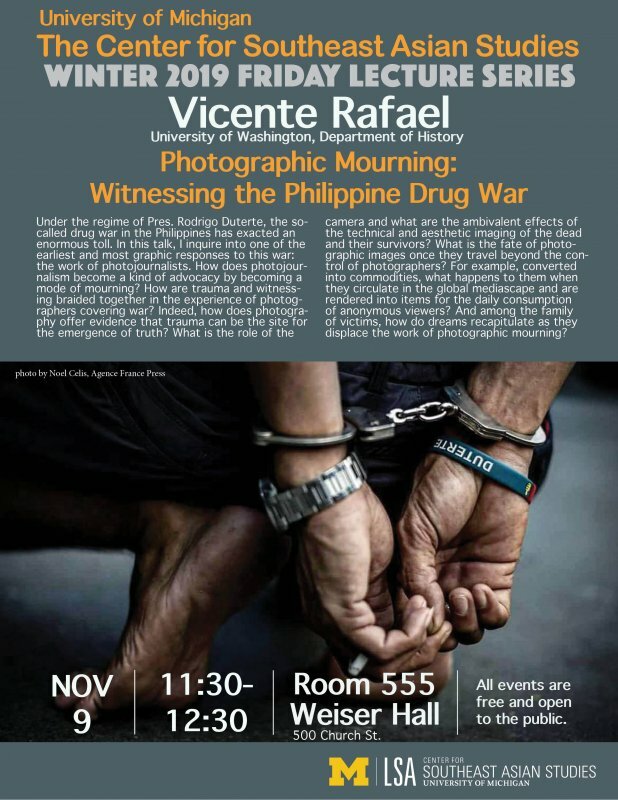 How does photojournalism become a kind of advocacy by becoming a mode of mourning? How are trauma and witnessing braided together in the experience of photographers covering war? Indeed, how does photography offer evidence that trauma can be the site for the emergence of truth? What is the role of the camera and what are the ambivalent effects of the technical and aesthetic imaging of the dead and their survivors? What is the fate of photographic images once they travel beyond the control of photographers? For example, converted into commodities, what happens to them when they circulate in the global mediascape and are rendered into items for the daily consumption of anonymous viewers? And among the family of victims, how do dreams recapitulate as they displace the work of photographic mourning?